Back in August, when Facebook released its own live-streaming offering to move in-line with the trend started by Periscope and Meerkat, the option was only made available to celebrities, a move which was criticized by many live-stream advocates. But the strategy was actually very clever - build a platform with a heap of highly popular content, then open that platform up to everyone, enabling live-stream broadcasters to share in the attention brought by those high-profile broadcasters. "These are, after all, celebrities, with huge, pre-existing followings - of course they're going to get a heap of views and comments. But what if Facebook were to break out Live into its own app or tab? What if Facebook decided, after seeing that a growing number of celebrities were using Live, to create their own, Periscope-style listing with all the active Facebook Live streams in one place, with a constant flow of celebrity content? And what if, then, Facebook opened live-streaming to all users - so while people were looking through the latest celebrity videos, your content could also be featured in amongst that list? That'd be pretty enticing, right?" 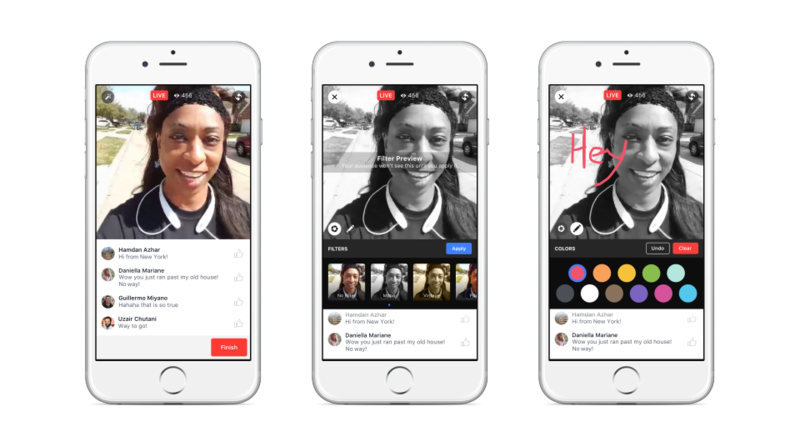 As it turns out, that's exactly what Facebook's doing, with a new update announced for Facebook Live that adds in a whole range of new features - including, importantly, a new video discovery tab to boost the reach of Live content. "Live in Groups allows you to broadcast to just the people in the Facebook Group - so you can go live in your family group, or share a workout plan in a fitness group. Live in Events means you can go live from a birthday party to allow those that can't make it to join the fun, and a performer can go live backstage to the people who've RSVP-ed to the event to give them a sneak peak." It's an interesting addition that'll provide another way for people to use Live in a contained setting. The option for people to use Live in groups could be particularly helpful for business communities looking to host Q and A sessions and the like, while event organizers will be able to use the tool as an incentive for fans to sign-up via Facebook by offering exclusive, behind the scenes access. The advantage of this would be that organizers would then be able to target those who've signed up for future outreach campaigns. One of the greatest things about live-streaming is that it's interactive - people can comment in real time and receive a response, bringing as close as you can get to actually being there. A big part of this, on other platforms, has been the option to show your support by using their in-built 'props' and engagement options - on Periscope you have 'hearts', for example, on Blab it's the 'hands up' emoji. As you can see from the last image above, Facebook Live now has its own version of in-stream acknowledgement, in the form of Reactions emoji that bounce across the screen, popping to life with an image of who sent the praise, then trailing across. In addition to emoji responses, Facebook's also adding Live Filters and the ability to draw on your Live videos to add an extra level of customizability and freshness to your Live broadcast. Live videos will also include all live comments in any subsequent replays of Live video, as they happened, giving viewers who catch the video after the fact the same feel as those who were able to experience it live. 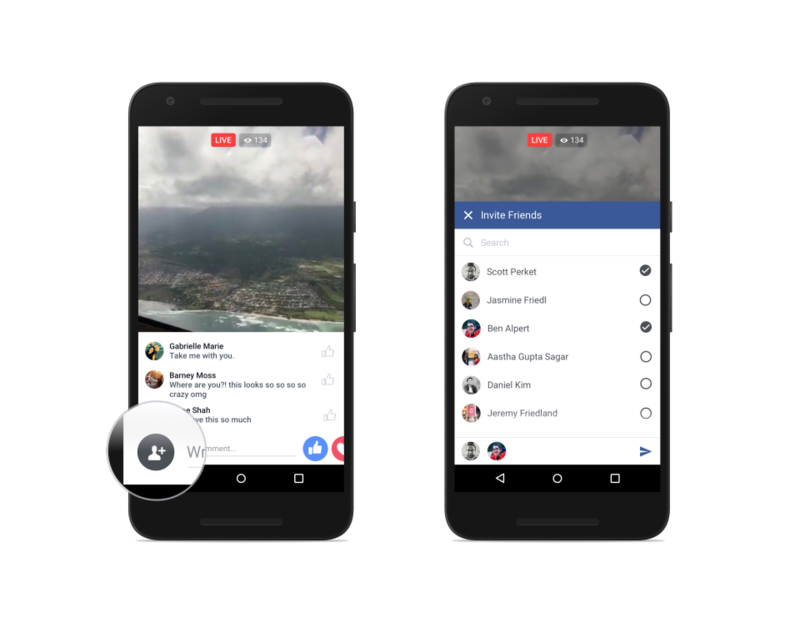 These additions move Facebook Live more in line with other platforms in terms of audience response, and the addition of filters adds another, interesting element to experiment with. But here's where Facebook Live's new additions really have some impact. As noted, one of the key challenges of live-streaming - a fact specifically noted by Meerkat's Ben Rubin when he recently announced his company's decision to switch their focus away from live - is that not everyone wants to broadcast themselves. In fact, there are not many who do - studies have shown that less than 3% of Periscope's user base are actual, active broadcasters, with the other 97% watching. The difficulty with that is if you can't get users to your app to broadcast, then the focus needs to switch to content, and the noise-to-signal ratio of live-streaming - thus far at least - is quite high, making it difficult to sell the option as an entertainment alternative. Facebook had the advantage of seeing this challenge after the other players. Noticing that Periscope and Meerkat were facilitating a lot of low viewership content, Facebook switched their focus to celebrities in an effort to up the entertainment value of their Live offering - the idea being that if they could bring more people across to watch more live content on Facebook, that would make it a far more appealing option for potential broadcasters down the line, as those celebrities would bring their own, large audience bases over to the offering to see them. But thus far, Facebook hasn't offered a way for people to get their content viewed alongside all those high-traffic Live posts. The third part of today's announcement relates to the discovery of Live videos. First, Facebook's added the option to invite friends to watch a Live video with you, another way to boost shares of Live content and get more viewers to it. "Simply tap on the invite icon and select the friend you want to invite and they'll receive a push notification with your invitation." 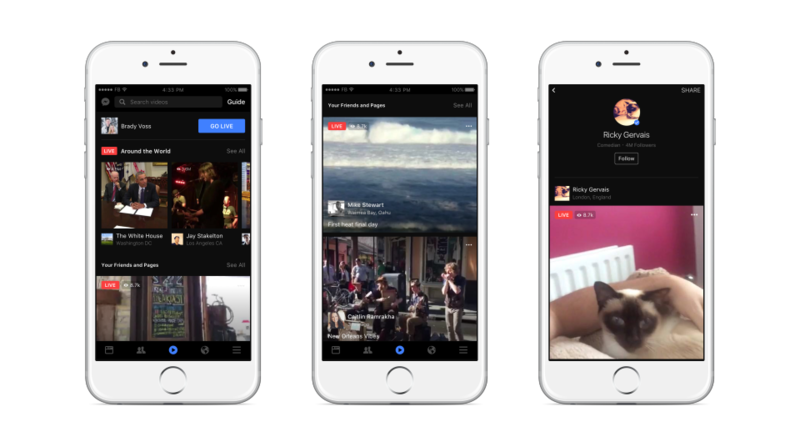 But the second, and most important, discovery element is the real kicker - the addition of a new, dedicated place within the Facebook app to showcase Live content. The new discovery tab will highlight the Live video "that the world is talking about, live video from the friends and creators that matter most to you, and live video on topics you're interested in". You'll also be able to search both live and non-live videos, making it an option for video content more widely, and you'll be able to go live yourself from within the tab. To access the new video discovery option, all you need to do is tap on the new video icon in your Facebook app - which, very importantly (and as you can see in the above screenshot), is getting prime position, right in the middle of the bottom bar. Given such prominence in the app, and with the focus of the new tab being put on Live content, there's little doubt that there's going to be a big increase in viewership for Facebook Live videos in the coming months, and with Facebook making deals with big name publishers and celebrities to have them broadcast via Live, all the pieces are in place for Facebook to take their live-stream offering to the next level. 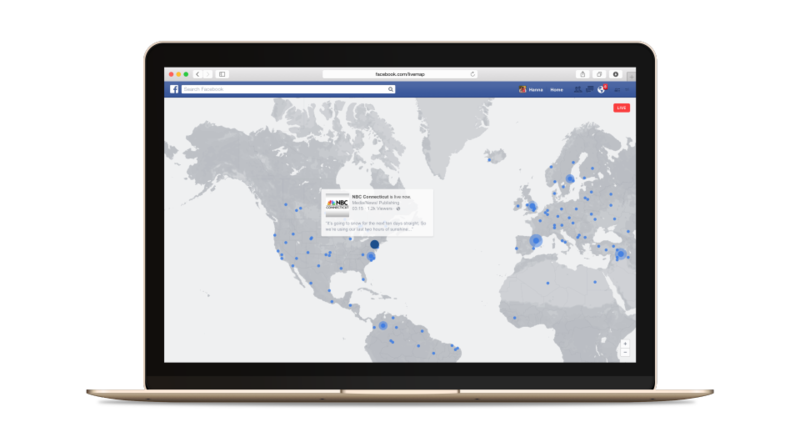 And the last part is the addition of a new Facebook Live Map tool which highlights where Live broadcasts are happening around the world. 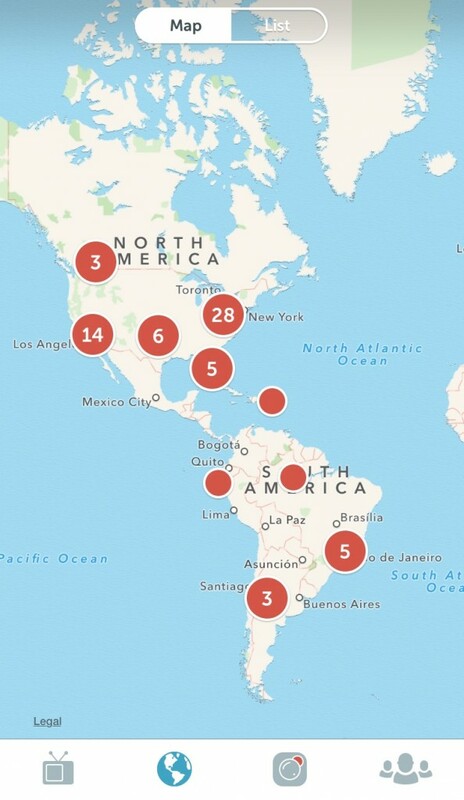 The features is pretty much identical to Periscope's map feature, which has proven to be a popular addition to the app. The discovery features are an important step for Facebook Live, and the addition of a dedicated video page, in particular, will put the tool on par with its competitors. Now, rather than being restricted by Facebook's News Feed algorithm in terms of reach - which largely limited your broadcasts to your own fans and followers - millions of other Facebook users will be able to discover your publicly broadcast Live videos via this new option, greatly expanding the capacity for Live to connect users with new audiences. And by focusing on entertainment over participation, Facebook's Live platform is likely to bring in more users, both as broadcasters and viewers, than other live-stream options - when live-streamers see that they can reach thousands of people by having their video placed up alongside content from celebrities, that will be a major draw for Live. 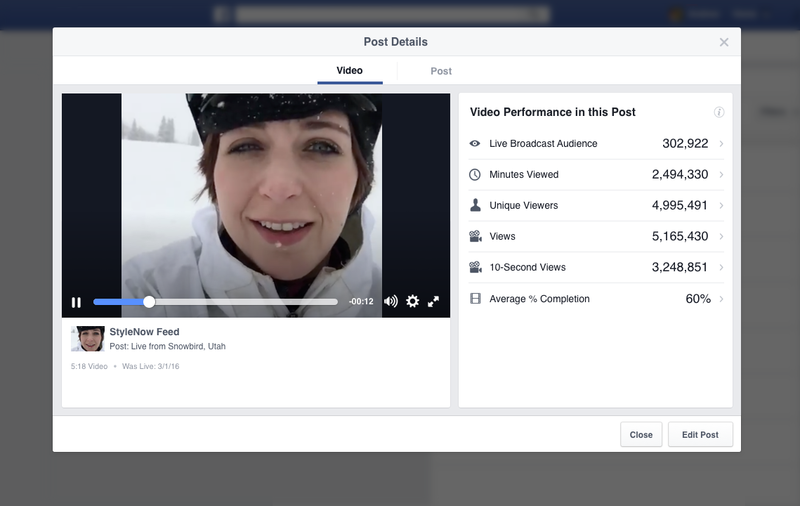 In addition to the new in-app features, Facebook's also added in new video metrics for Live content. The new measurements mirror the recently announced updates around video content more widely, offering data on how long it takes people to tune in to a live broadcast, how many viewers a broadcast has at its peak, how many viewers are staying, and when they're dropping off. The new metrics will offer greater transparency, and likely greater incentive for Pages to try it out, given they'll have clear data on exactly how people are tuning into their content. This level of data is also not available on other live-streaming platforms, which will be another tick in Facebook's favor when it comes to live stream experimentation. 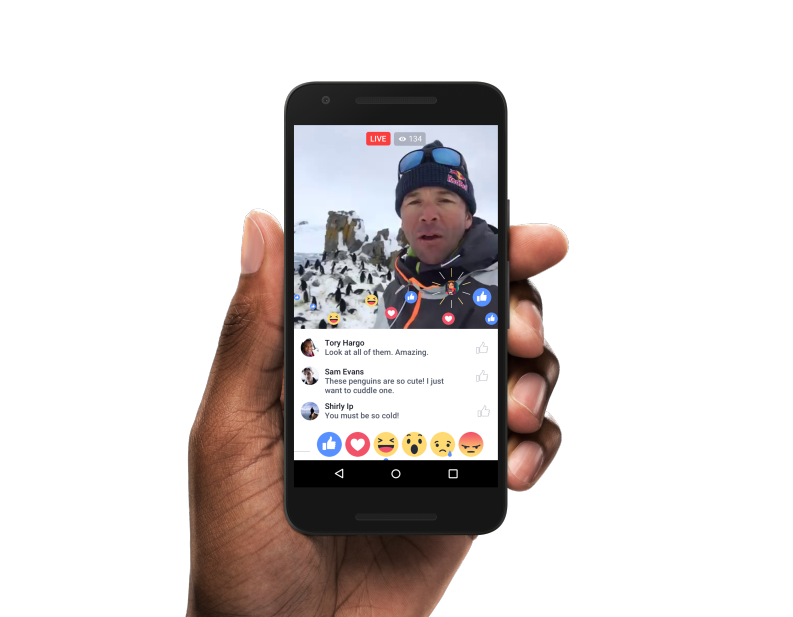 The new features underline just how seriously Facebook is taking live-streaming, and the efforts they're taking to capitalize on the popularity of the option. This comes at a time where Twitter will be looking to emphasize their own live-stream capabilities as part of a new deal with the NFL to broadcast Thursday Night Football, and amid reports that YouTube's looking to release its own live-stream dedicated app. Given Facebook's announcement today, you can bet every live-stream player will be re-assessing their plans and bracing for the impact of a wider take up of Facebook's live option. It's a big bet by Zuckerberg and Co, but given the rising popularity of video content and the capacity for immediate connection via Live, the option works in trend with what an increasing amount of users are looking use social platforms for. That, in the end, could see Facebook win out and become the new home, and not just for live streaming, but for video content more widely as well.